Tibet is a dream to many travelers, and to see Mount Everest is a much-looked-forward-to experience. Mount Everest, the world&apos;s highest mountain, is really the top of the world. And the best place for non-mountaineers to see the summit is from China&apos;s Mt. Everest Base Camp (EBC). To enter Tibet you need a Tibet Entry Permit, and to visit Mount Everest you need an Aliens&apos; Travel Permit. You are not allowed to apply for the permits by yourself and you can&apos;t travel Tibet without a tour guide. You have to find a travel agency to help you arrange it. China Highlights offers Permit + private guide service, and all our Tibet tours include our assistance in getting the required permissions. Read more about Tibet travel permits. Though you can travel to many places regardless of the season and weather, you should definitely pay attention to when is the best time to see Mount Everest. Avoid rainy weather, as for any remote mountainous location, especially if you want to camp. For Mount Everest, also consider ice, wind and snow. The best time to go is from late April to early June, and late September to early November, as there is little rain and snow, and daytime temperatures are above freezing. Avoid winter time from November to April due to harsh weather conditions. Also Tibet is usually closed in February and March. Summer is the rainy season in Tibet, especially July and August. The summit is usually covered by mist/cloud and you have less chance of seeing the peak. You need to fly to Lhasa or take a train there from Chinese domestic cities like Beijing, Chengdu, Xining. There is no international flights available except from Kathmandu, Nepal. 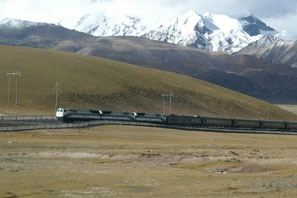 Many travelers want to experience the Tibet Railway. But it&apos;s far easier to get flight tickets to Tibet, and train tickets out. You can take time to adjust to the high altitude in Lhasa, rather than in the confines of a train, before beginning your journey in Tibet. After enjoying Tibet, you can take time to enjoy the natural beauty from a train on the way out. You won&apos;t miss anything of the Tibet experience by travelling this way, and your plans are far less likely to be curtailed due to lack of train tickets. Mt. Everest Base Camp is far from Lhasa, and only a good transport solution will allow you to enjoy a smooth trip. We don&apos;t recommend buses. The most popular and comfortable way to go by road is to hire a van and a driver. 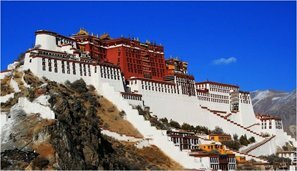 With China Highlights, after your trip in Lhasa for the Potala Palace, Jokhang Temple, etc, your driver and tour guide will pick you up at your hotel. It will take about 6 hours from Lhasa to Shigatse. And then another 10 hours to base camp after taking a rest at Shigatse. 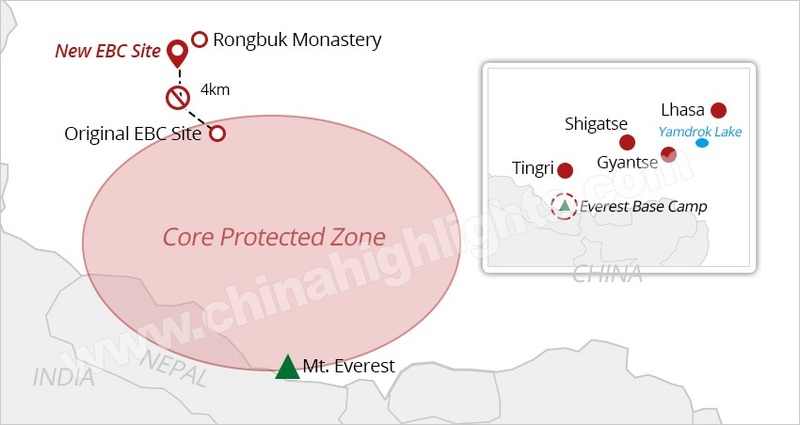 In January 2019, the original EBC site has been abandoned for environmental protection reasons, and the new site is near Rongbuk Monastery, which is one of the best places to view the lofty Mt. Everest. You can take a train to Shigaste first instead of van. The journey between Lhasa and Shigatse is about 3 hours. There is 2 trains between Lhasa and Shigatse per day. And when you arrive at Shigatse, you are still suggested to take a van. 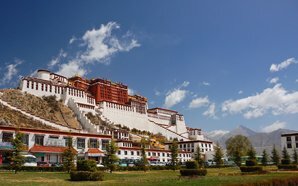 Spend couple of days in Lhasa to discover Tibet culture. You should not go to EBC on the same day you arrive in Tibet due to the high risk of acute altitude sickness. 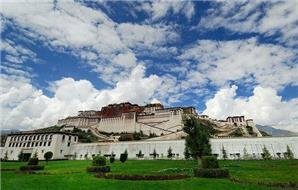 It is recommended to spend three days in Lhasa and Shigatse to acclimate and discover Tibetan culture, and arrange your Aliens&apos; Travel Permit, before going above 4,000 meters. 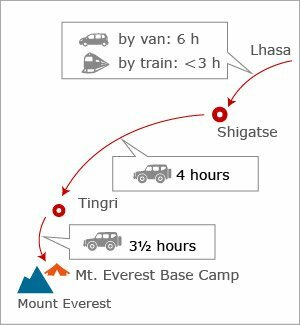 The typical 8-day Everest itinerary is made up of: three days basic acclimatization, a night for further acclimatization in Dingri, two days for the EBC visit and return to Lhasa, and Lhasa arrival/departure days. If you want to see Mount Everest, but are afraid of the harsh conditions, China Highlights can help you make your trip more comfortable. Tour with China Highlights and we will help you arrange Tibet permits, hotels, an experienced driver, a good vehicle, and a knowledgeable local Tibetan guide. Or you can just contact us to according to your interests and requirements. See our Map Guide for Planning a Tibet Trip and Tibet tours. Bring lip balm and moisturizer. Sun cream: Bring strong SPF sun cream to protect your skin from the strong sunlight. Sun glasses/snow glasses: The ultraviolet light is very strong when up in the mountains. 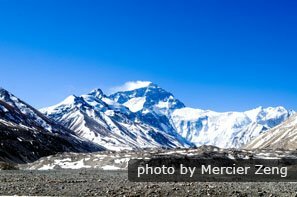 So bring sun glasses to protect your eyes and bring snow glasses to prevent snow blindness if you go to see Mount Everest in the snowy season. 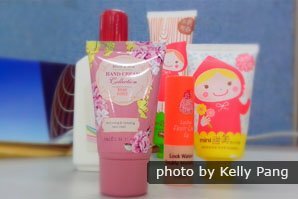 Lip balm and moisturizer: Tibet has a dry and cold climate, so take measures to avoid chapped lips and dehydrated skin. Down jacket (and warm sleeping bag if camping): It&apos;s very cold at night at EBC, even in summer. The quilts in EBC tent hostels may not be enough to protect you from the cold. Good/spare batteries: There is not much electricity at EBC, so you need to charge your phone or camera and batteries before the final leg of your journey. The cold will sap battery life, so keep devices/batteries insulated. Food: Bring enough food with you for the long journey if you can&apos;t get used to the local food. There is little choice for food at EBC tent hostels. 1. 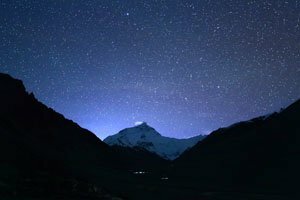 Do I have to camp in EBC? I don&apos;t like sleeping in tent. You don&apos;t have to sleep in tent. You can stay in Rongbuk Monastery Hotel, about 7 km (4 mi) north of Mount Everest, or a Dingri hotel. They offer basic facilities: a bed and quilts like tent hostels, but they will be a bit warmer, and you can have more space. Western food is not available. See our Mount Everest page for more on EBC facilities. 2. 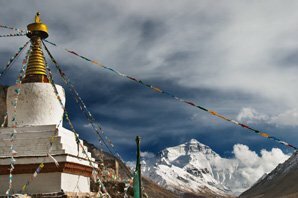 If I fly to Tibet, can I see Mount Everest on the plane? If you fly to Lhasa from Kathmandu, Nepal, you may see Mount Everest on the left on a clear day. 3. I heard that it&apos;s very easy to get altitude sickness at EBC. What should I do to avoid it besides medicine? You should take about three days to get used to the high altitude in Lhasa,and Shigatse on the way. Avoid strenuous actions, quick movements, and jumping. If you get headaches and dizziness, taking bottled oxygen or moving to a lower altitude for further acclimatization can help. 4. Can I use my phone at EBC? Yes. The telephone signal covers EBC, but can be unstable. But do make sure that you have charged your phone and back-up batteries in your hotel before your departure, because there is little electricity at EBC. 5. What else can I experience besides viewing Mount Everest at EBC? You can appreciate the sunrise/sunset at EBC in clear days. The starry sky at night is also very spectacular. And there is a China Post Office at EBC where you can buy and send your family postcards from Mount Everest. 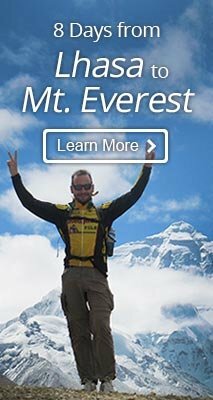 Staying at Everest Base Camp or Rongbuk Monastery?